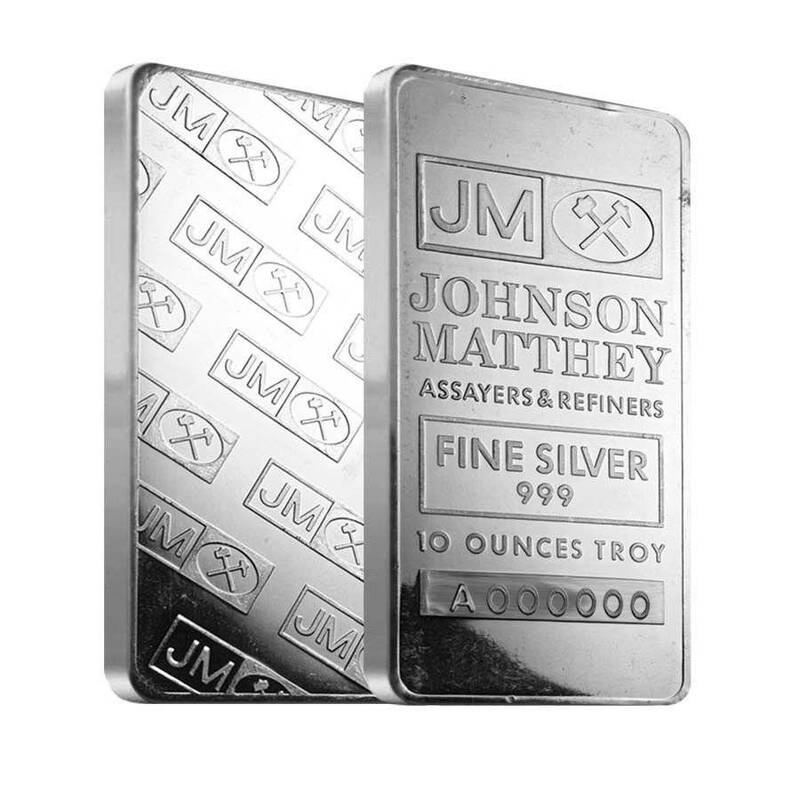 Johnson Matthey silver bullion products, due to their long history in the marketplace, have achieved an esteemed reputation among investors. 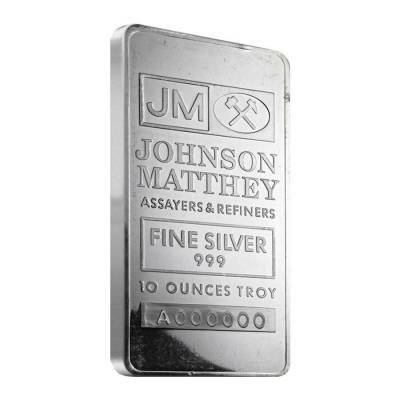 After being formed in the early nineteenth century, the Johnson and Matthey Corporation has grown to become a major British chemical company and a world leader in precious metals distribution. Simply put, there are no better names on the contemporary private precious metals landscape. 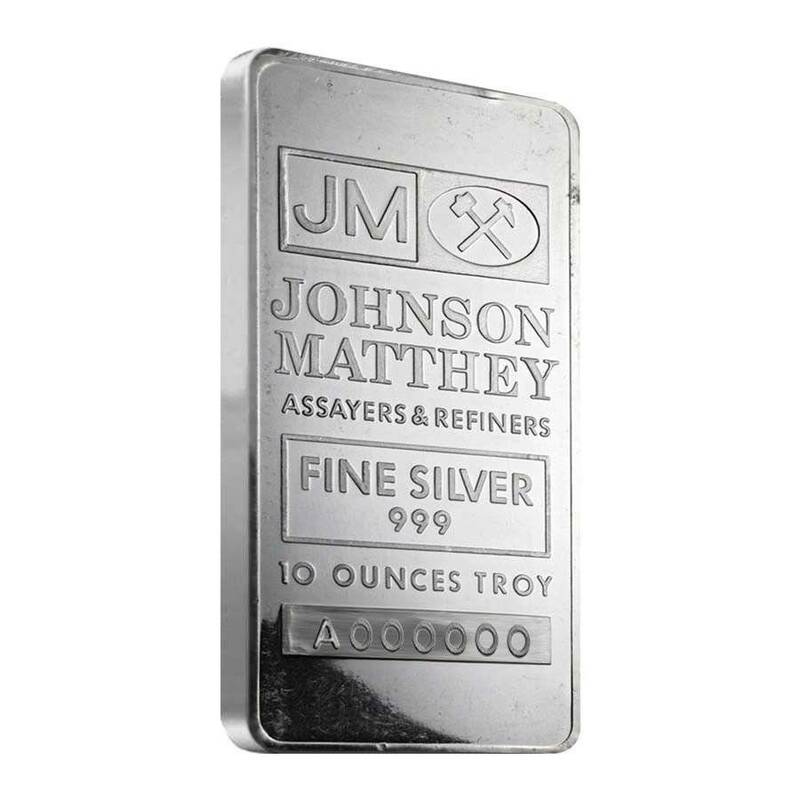 The front of the bar is stamped with “JOHNSON MATTHEY, ASSAYER AND REFINERS, FINE SILVER 999, 10 OUNCES TROY,” as well as a unique serial number. In addition to the weight and purity, it also features the Johnson Matthey logo of two crossed mining hammers. These secondary market bars are of the many different designs by Johnson Matthey, and may or may not be sealed in original plastic, display toning, or have light contact marks. Great products, fast service and a great business to deal with. Thank you so much! This bar was exactly as described! For every $1 spend, you will earn 1 Bullionaire Buck which is equivalent to $0.001 off a future purchase. 181 BB = $0.18.